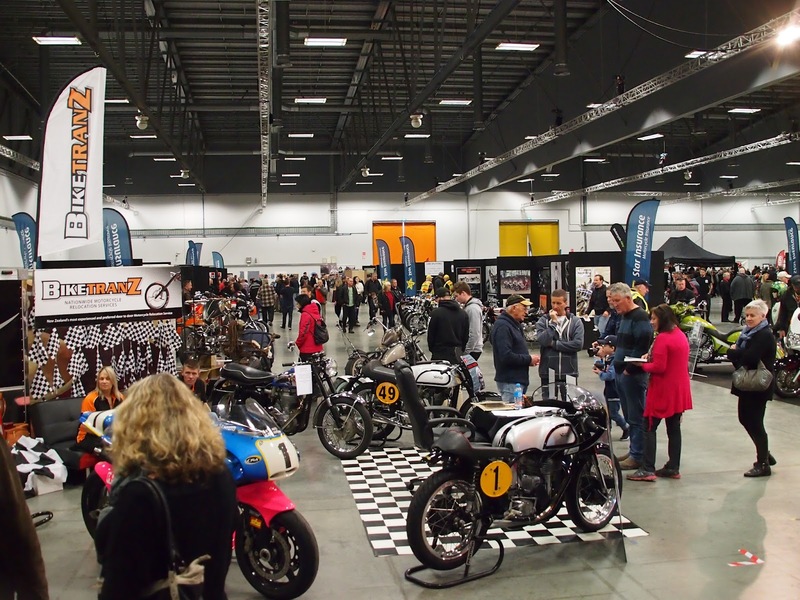 The Rotary Club of Papakura, NZ held their third Motorcycle Show on August 15 and 16 at the ASB Showgrounds in Greenlane, Auckland. This year, the show was open to both classic and custom bikes. It was sponsored by Star Insurance, Indian Motorcycles, the Accident Compensation Corporation (ACC) Ride Forever national training programme and Motorcycle Trader magazine. Four thousand visitors enjoyed the spectacle (and noise) of 475 bikes, 25 bike clubs and numerous trade stands selling everything from new bikes, through to clothing, accessories, spare parts, services and bike related information. From the Indian and Victory Motorcycle trade stands to the Auckland Veteran Motor Cycle Club, from Ducatti to Triumph, from $1 million machines to the most basic and ancient of motorcycles waiting to be restored, and from top names in the motorcycle racing community to amateur enthusiasts, they were all there, and so to were the public who turned up in their droves to support Papakura Rotary’s fundraiser. Indian Motorcycles prepared a 2015 Indian Scout prepared as a tribute to Burt Munro. It was themed with Burt’s racing colours, 35 race number and “Spirit of Munro” logo on the tank. Then they donated the bike to the Rotary club and it was auctioned on Trademe raising $36,700 which enabled the show to open with expenses covered. This fundraiser for the Rotary club was well supported by 34 club members assisting over the weekend, some of whom braved the rain on the Saturday as they stoically endured their time on the gate and car parking duties. Overall $70,000 was raised which will go to charity, including further education for staff at the National Burn Unit at Middlemore Hospital in South Auckland, as well as many Rotary programmes, including Rotary Safety Education (formerly called RYDA), Rotary Youth Leadership Award (RYLA) and Rotary Youth Program of Enrichment (RYPEN). The most enriching part of this project is the fellowship of working together both before the weekend and during the long hours which need to be put in over the show weekend to ensure its success.